Streamlined workspace for 6 young students. Durable Melamine® top is edged in birch. 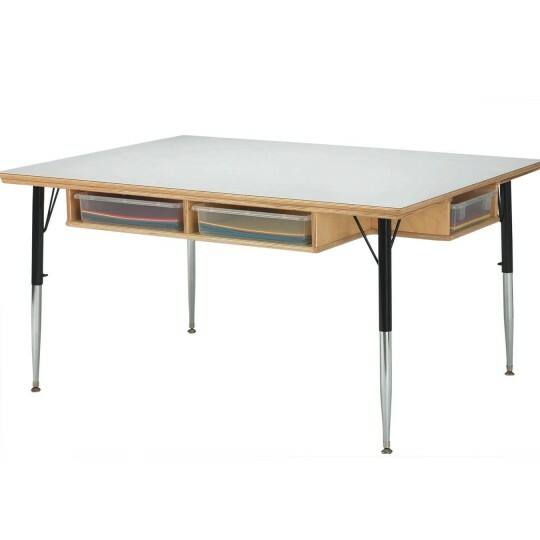 Features 6 below-desk cubbies with paper trays. Table legs adjust in 1" increments. 36"W x 48"L x 15" to 24"H. Select clear or colored trays.